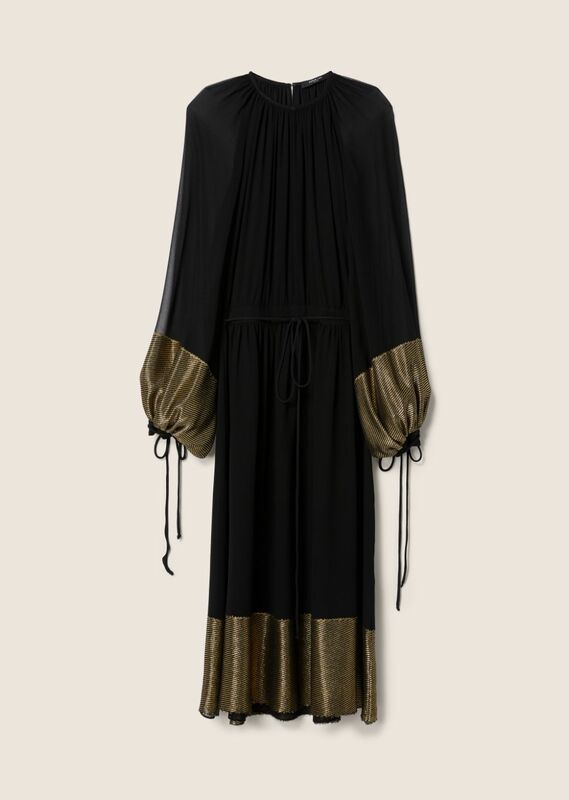 Long-sleeved midi dress in black chiffon with pleating throughout and gold lurex stripe details at cuffs and hem. Concealed zip closure. Long, full peasant sleeves with self-tie cuffs. Lined. Made in Italy.